Australia’s world cup soccer dreams may have been short-lived, but a team of 23 young Australians are competing to fly the flag for Australia on the global stage of the WorldSkills International Championships in Russia next year. Widely recognised as the ‘Olympics’ of the skills sector, the WorldSkills competition is open to allTraining Providers and is an opportunity for universities, TAFEs and Registered Training Organisations (RTOs) to showcase their most talented students and benchmark them against the best in Australia, while promoting the training provider as a centre of excellence in skills training and delivery. This year the shortlisted team is made up entirely of students at public institutions with 19 of the 23 strong shortlist studying at TAFEs around the country. 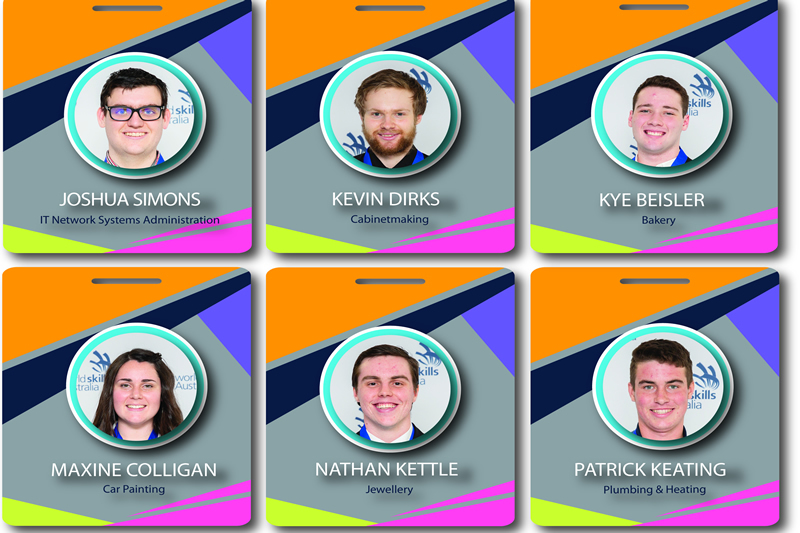 The team members, known as the ‘Skills Squad’, were selected after their success at the recent WorldSkills Australia National Championships, which took place in Sydney in July 2018. The championships saw over 400 of Australia’s best apprentices and trainees compete for the title of National Champion in one of the 50 trade and skill categories. The Skills Squad team members, who range in age from 17 to 23, will spend the next nine months working with a dedicated training manager for the chance of being selected to represent Australia at the world’s biggest skills excellence competition, where the best young apprentices and trainees from more than 70 nations will compete for the title of World Champion in Kazan, Russia, in August 2019. Courtney New is studying applied fashion design and merchandising at TAFE NSW.She credits her TAFE teachers for understanding the level of commitment needed train for WorldSkills and assisting her with other classwork so that she didn’t fall behind and still complete the course with the rest of her class. ‘ My teachers were also always there to answer questions, of which I had many, regarding my designs, techniques in sewing and helping me figure out what I needed improvement on. One of my teachers even began mentoring me outside of my regular class time, even going so far as to give up some of her weekend time to help me in my training right near the end’. After the national competition ended, that teacher offered Courtney an internship position in her own fashion business so she could continue to train with her and refine her skills while her other TAFE teachers supported her by providing her with equipment, assistance and even some textbooks on different sewing techniques ‘which will help me enhance my skills over the next few months of training and better prepare me to compete internationally’ said Courtney. Reports of TAFE teachers going above and beyond were echoed around the county. Joshua Boon praised TASTAFE and his teacher Jai Maluga for supporting him with use of facilities and material for training as well as out of work hours training. ‘I am very grateful to TASTAFE and my teachers for the amazing support they have given me’ he said. Skills Squad team members have been selected from a broad array of trades and skills, ranging from traditional trades such as Bricklaying and Cabinetmaking to skills of the future including Cloud Computing and IT Network Systems Administration. The team of 23 includes five females in the trade/skill areas of 3D Digital Game Art, Car Painting, Beauty Therapy, Fashion Technology and Graphic Design Technology. This article originally appeared in The Australian TAFE Teacher Spring 2019.